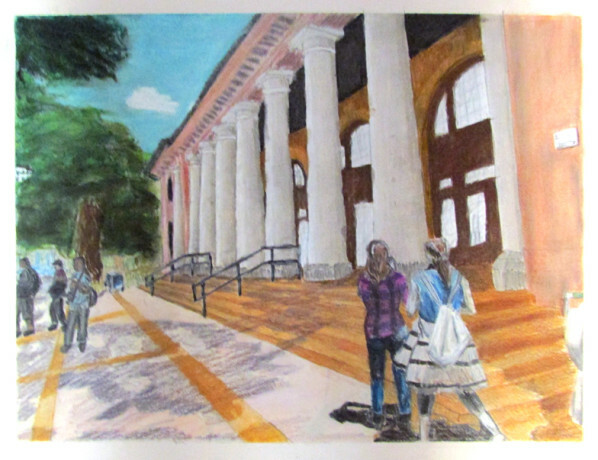 Reflection: This pastel project shows my perspective on place and helps show others how I see. It asks them what is your perspective. When you look at it the project seems to clash between man and nature and people are creating implied lines looking equally at nature as manmade architecture therefore implying what do you think, can man and nature be both beautiful or is it only one of them. What do you believe in.